Materials used – Bamboo plywood and mill finish aluminium. Other details – Laser engraved text, full colour digitally printed graphic adhered to aluminium. Client – Unbridled Solutions, Denver Colorado, USA. 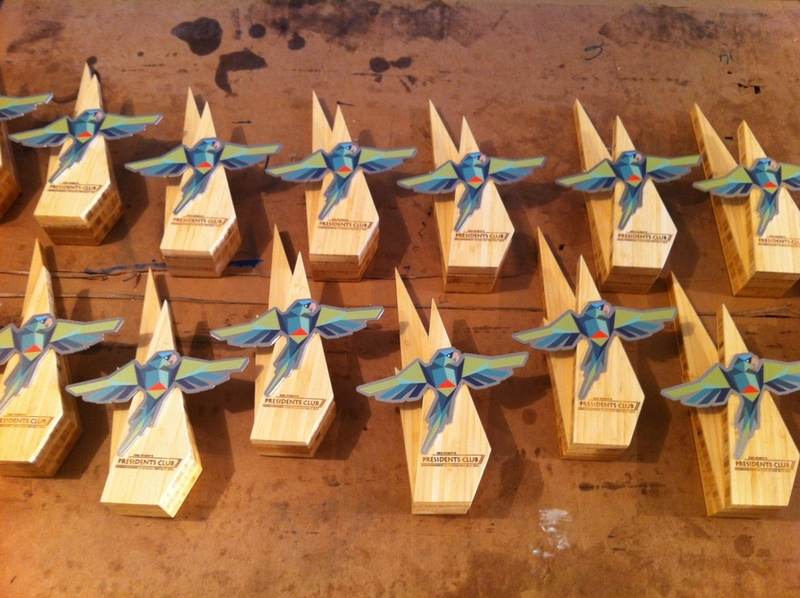 We created these unique custom awards / gifts for our client in record time; 4 days. The brief was to create something special that could be used as a memento for the attendees of a conference in the Dominican Republic. Additionally we needed to create a design that reflected the modern abstract bird motif / logo. 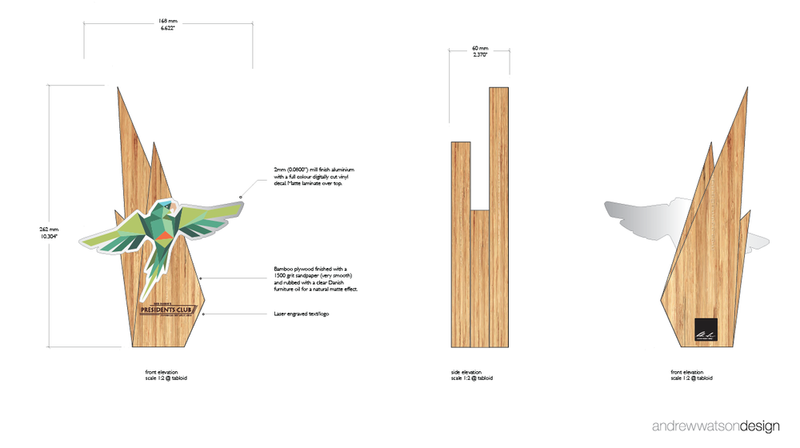 Our response to the brief was a dynamic award / gift handcrafted from sustainable bamboo plywood. 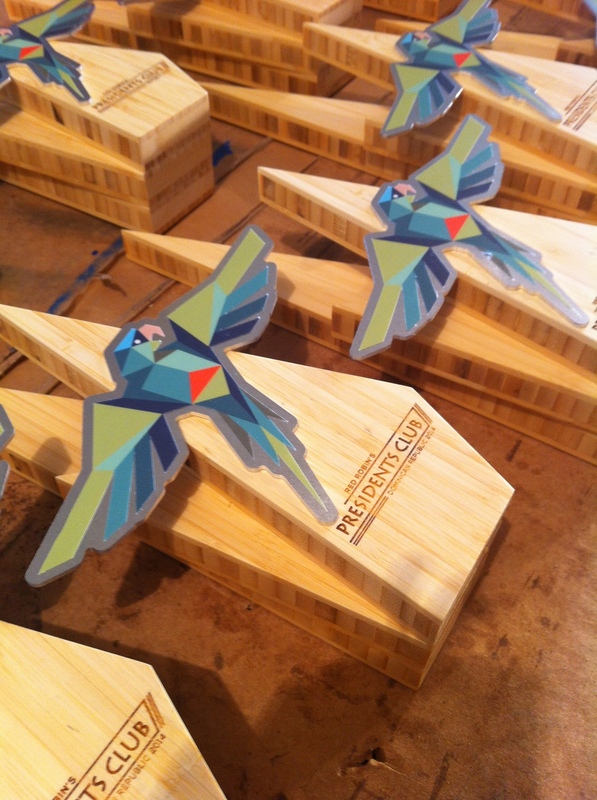 Three layers of CNC cut bamboo plywood were layered together and a CNC cut aluminium bird was adhered to the front of the award / gift. 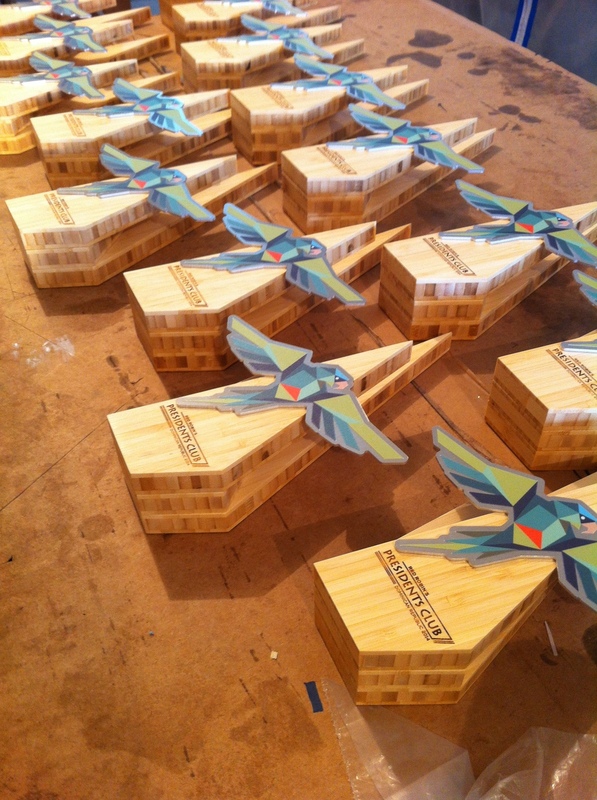 The text was laser engraved into the bamboo and the bird was a full colour vinyl decal adhered to the aluminium. The result is a beautiful and modern award / gift created in a very short time frame.